"We strive to make your stay as awful as the crime you've committed." TORONTO — Drunk drivers, prepare to spend the night in a "palace of no-class comfort and bottom-level luxury." 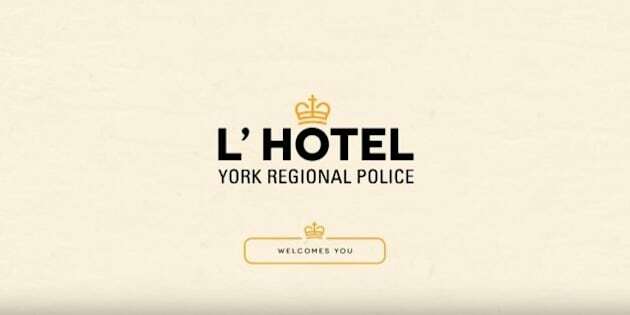 A tongue-in-cheek video released by police north of Toronto reminds motorists that taking the wheel while impaired will earn them a stay at "L'Hotel York Regional Police," which features a concrete mattress and an open bathroom with stainless steel fixtures. The video, released ahead of New Year's Eve, also touts the force's "complimentary shuttle service" — also known as a police cruiser. In one of several tweets promoting the public service campaign, York Region police posted a bill for a one-night stay at the "tawdry fortress of solitude," totalling close to $13,000. Among the costs are $10,000 in legal fees, about $400 in impound fees and a $1,000 impaired driving fine. A footnote on the bill states it does not include possible criminal charges or property damage costs. "We strive to make your stay as awful as the crime you've committed," the video's narrator says.